That's what Bank of America analyst John Lovallo recently said regarding Tesla's new stationary battery packs being designed for individual homes. 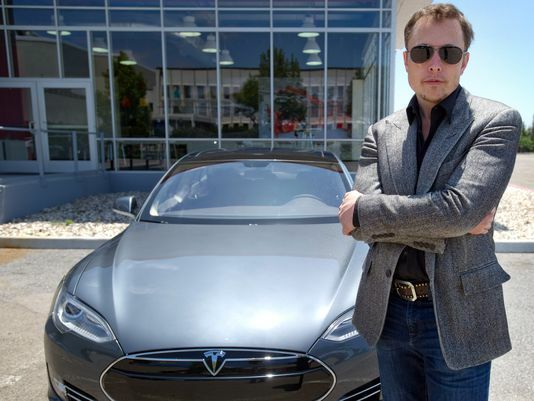 While we know Lovallo is incredibly bearish on Tesla (NASDAQ: TSLA) – locking in a sell rating and a $65 price target on the stock – he is right. Such an ambitious goal is a long shot. But you know what else is a long shot? The existence of a superior electric car that can travel 200 miles on a single charge. Oh, wait. No, that's not a long shot, anymore. It actually exists. It's called the Tesla Model S, and it's received some of the highest ratings of any vehicle – internal combustion or electric – ever offered. I'm not saying to run out and buy shares of Tesla, but this negative attitude of crapping all over anything that even remotely smells like a long shot bores me. Why reach for the stars when you can just sit in a comfy chair and cradle your nuts? Instead of burying our heads in the sands of disbelief, maybe we should consider rooting for the guy that's looking to make the world a better place. This telephone has too many shortcomings to be seriously considered as a practical form of communication. – Western Union internal memo, 1878. Radio has no future. - Lord Kelvin, British mathematician and physicist, 1897. [Television] won't be able to hold on to any market it captures after the first six months. People will soon get tired of staring at a plywood box every night. - Darryl Zanuck, head of 20th Century Fox, 1946. Rail travel at high speed is not possible because passengers, unable to breathe, would die of asphyxia. - Dr. Dionysus Lardner, Professor of Natural Philosophy and Astronomy at University College, London, 1823. Airplanes are interesting toys but of no military value. - Marshall Ferdinand Foch, French military strategist, 1911. There is no reason for any individual to have a computer in their home. Kenneth Olsen, president and founder of Digital Equipment Corporation, 1977. I don't know what the outcome will be with Tesla's new stationary battery. But what I do know is that if it does prove successful, Tesla will rapidly become one of the most profitable companies on the planet. And I'm rooting for Elon Musk all the way. Anything less would be an act of defeatism, and quite frankly, just uncivilized. And by the way, any individual who can build a re-usable rocket and a top-notch electric car that can travel in excess of 200 miles per charge can probably figure out how to build a stationary battery pack for somebody's house. Think about it.